Lee Ann is currently an adjunct professor at South Florida Bible College and Theological Seminary. Lee Ann is an award-winning Christian Children’s author with a well received series of books titled “Adventure of the Sea Kids” at GLM Publishing. Lee Ann has taught Bible Study for over 10 years and has been an active community volunteer/leader for over 20 years. 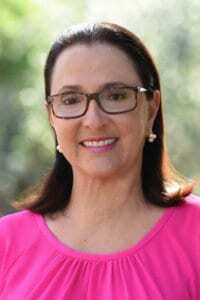 She is a board member of the Alexandrian Forum under the tutelage of Dr. Warren Gage Th.M., J.D., Ph.D., seeking to bring a greater understanding of the Bible by hosting annual Typology Conferences in South Florida dedicated to the theme of Christ as the center of Scripture. In addition, Lee Ann speaks to women groups regarding the redemptive power of the gospel represented though the types of brides of the church. She is also a board member of the Florida Author’s and Publishers Association. Lee Ann is married and has two children. She loves to read, jog, and teach the Word of God. Click here to view her website and to see her publications.